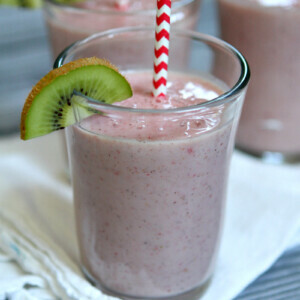 This Kiwi Strawberry Smoothie is the perfect, light treat to have for breakfast or as an afternoon snack. I must say… it’s been a smoothie-kind-of-summer. That means hot and humid days that call for some sort of major relief in the form of ingesting cold things. Ice cream is good for that. But since ice cream isn’t all that awesome for bathing suit season, smoothies are the next best option! 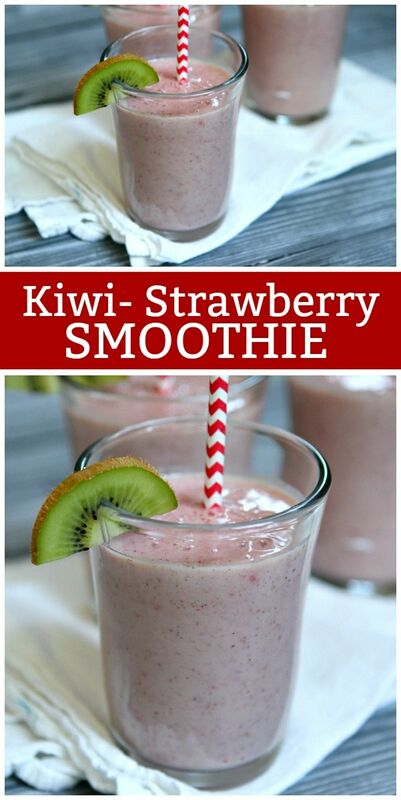 These smoothies are flavored with strawberries and kiwi… and I used unsweetened almond milk + nonfat Greek yogurt for a maximum healthy vibe. 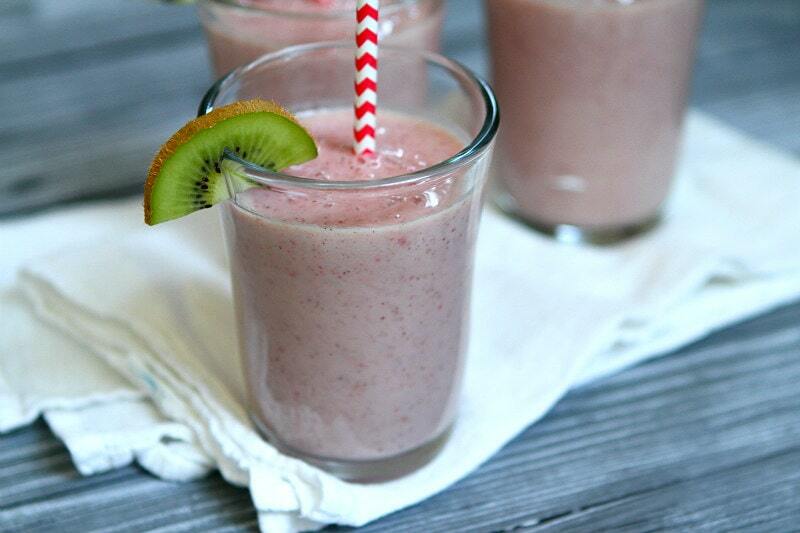 The sweetener in this Kiwi Strawberry Smoothie is just a little bit of agave syrup or honey. It happens to be perfect. This recipe comes from a new cookbook by Deborah Harroun (of the Taste and Tell blog): Best 100 Smoothies for Kids. 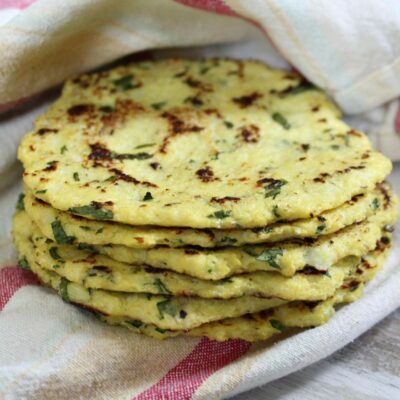 We have been loving this cookbook in our house this summer! 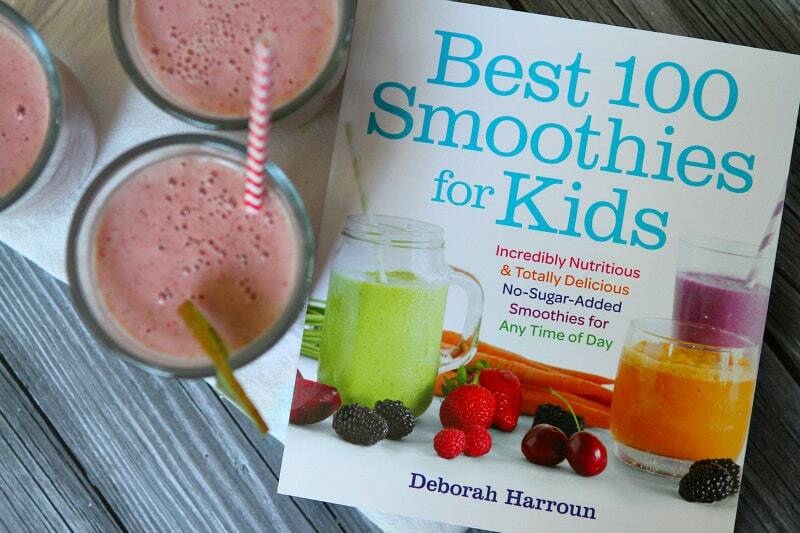 In the book, Harroun shares smoothies for breakfast, lunch, snacktime, dessert and bedtime. 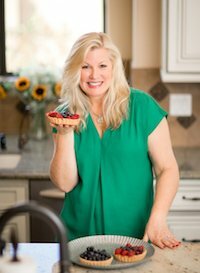 Here are some of the delicious recipes you’ll find in the book: Strawberry- Banana Oatmeal Smoothies, Honeydew Cantaloupe Smoothies, Avocado- Vanilla Smoothies, Peanut Butter and Jelly Smoothies, Creamsicle Smoothies, Red Velvet Cake Smoothies and Peach Melba Smoothies. 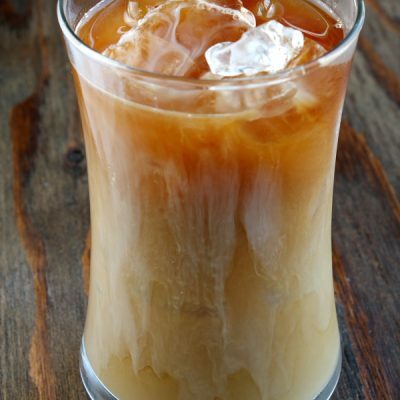 All smoothies are no-sugar added and use natural sweeteners instead. 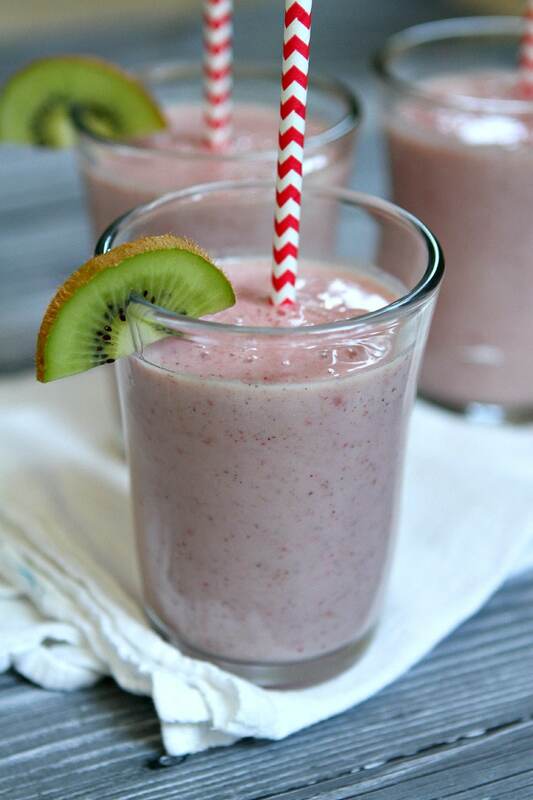 My 14-year old son… who has proclaimed many times that he detests both Greek yogurt AND almond milk… absolutely loves this Kiwi Strawberry Smoothie. 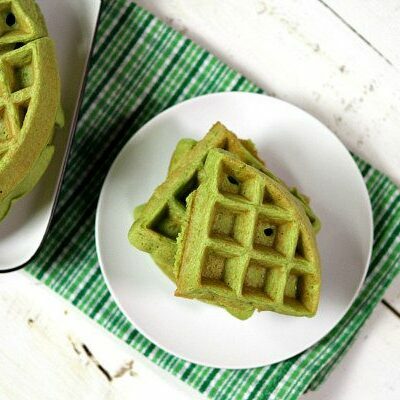 It was fun telling him after-the-fact that the recipe contained these horrible ingredients! 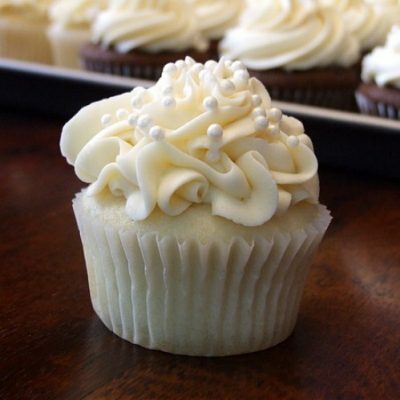 So if you’re in sweltering weather… and your family is craving chilly treats… this is a good one to share. Enjoy! You might also enjoy these easy breakfast recipes: Pineapple Zucchini Bread and Egg in a Bagel. Buttermilk Blueberry Breakfast Cake, Berry Breakfast Parfait, and Egg Muffins are simple breakfast recipes too. 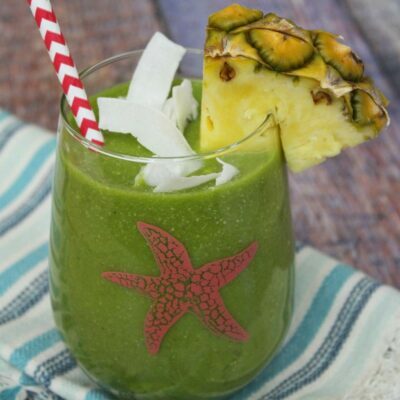 Here's a delicious smoothie to make for breakfast or an after-school snack! Pour the milk into the blender. Add all of the other ingredients. Blend until smooth. That's it! I’m so glad I’ve been able to help with your smoothie obsessed summer!! 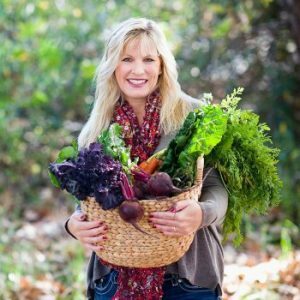 Thank you so, so much, and I’m so happy you have been enjoying the smoothies!! We’re a total smoothie household. Would love this one..and Deborah! Thanks for the link love, Lori!